Sympathetically converted to provide quality holiday accommodation with unique circular rooms, this spacious former water tower once served the supply for the village. 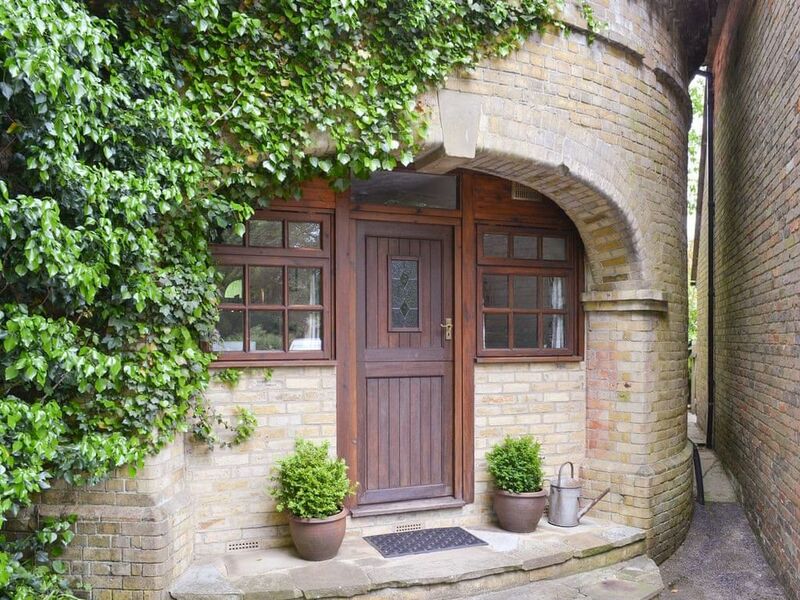 Adjacent to the owners’ beautiful oast house home, with lovely walks nearby, this property is very popular with many holidaymakers, including frequent repeat bookings. Golf, fishing and pony trekking locally. Leeds Castle 2 miles. Excellent base for visiting the numerous places of interest that Kent has to offer. Golf available nearby. This property is adjacent to Crismill Oast, ref 27500. Bearsted station with direct trains to London is 1 mile. Shops and pubs 1 mile. Ground floor: Living/dining room/kitchen. Separate toilet. First floor: 2 bedrooms: 1 double with en-suite shower room and toilet, 1 twin with en-suite walk-in shower and toilet. Gas woodburner in living room included. Gas central heating, gas, electricity, bed linen and towels included. DVD. CD. Electric cooker. Microwave. Washing machine. Fridge/freezer. Wi-fi. Private terrace with garden furniture and barbecue. Parking (1 car). No smoking. No children under 12 years.